You shouldn’t mix politics with sport they say, but the reality is they often go hand in hand. They did for me even at a very tender age, when I became a Manchester United fan. The year was 1968. Just seven months earlier, 99% of the Rock’s population had voted to remain British in our first sovereignty referendum and in 1969 Franco closed the border. Understandably, anti-Spanish sentiment in Gibraltar was running high. As fate would have it, the Red Devils were drawn against Real Madrid in the semi-finals of the European Cup, forerunner of today’s Champions League. United had, quite literally, rebuilt from the ashes of the Munich air crash a decade earlier that resulted in the death of eight of their players including the talismanic Duncan Edwards. And here they now were, pitted against the aristocrats of football, who by then had already been crowned champions of the top club competition in Europe six times. Los merengues, so nicknamed because of their famous all-white strip, were perceived by many as the embodiment of the Spanish state and were exploited by the regime for propaganda purposes. It was with some trepidation, therefore, that my family and I sat in front of our recently acquired black-and-white Bush television set, fiddling with the aerial to try and get a decent picture, to watch the first leg at Old Trafford on 24 April 1968. Not quite ten years old, I had never before experienced the fervour that I did that day: my relatives cheering United on, while baulking at the totally one-sided commentary provided by the infamous Matías Prats, who narrated the state-controlled No-Do “news” that cinemas in Spain were obliged to screen before the main feature. Apart from his anguished cry of “Charlton, peligro” every time Bobby Charlton was on the ball, my abiding memory is of my grandmother, bless her, saying a rosary while the action unfolded asking God to deliver a United win. Her prayers were answered, but only just. 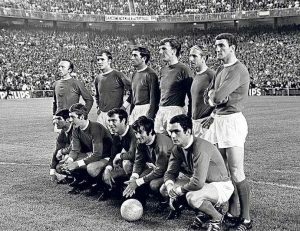 A George Best goal secured a slender 1-0 victory that many thought would be insufficient for the return leg in the imposing Bernabeu stadium in Madrid. And so three weeks later, a day after my tenth birthday, there we were huddled around the TV once again. We feared the worst when Real swept into a two goal lead, but our hopes were revived after a bizarre own goal brought the scores level on aggregate. That was in the 44th minute. A minute later though, just before half time, Amaro Amancio restored Madrid’s two goal lead. Despair in the Neish household. 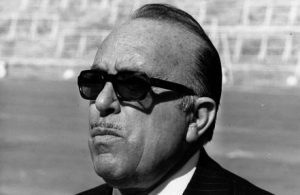 Annoyance when a gloating Matías Prats announced that a viewer was naming his newborn son Amaro, after the player who he believed had broken United’s spirit and guaranteed Real’s qualification for the final. Unfortunately for him United were a different side after the break. Goals by David Sadler and Bill Foulkes made it 3-3 at the final whistle, United winning 4-3 on aggregate. Unbridled celebrations at home, matched only by the deathly silence of the Bernabeu. Even the silver-tongued Prats momentarily lost his voice. I remember my dad observing that the poor Madrid “hincha” who had got so carried away ended up with his precious team out of the competition and his baby boy with an ugly name! Maybe he changed it. Manchester United would go on to win a memorable final against Benfica 4-1 at Wembley to become the first English club to lift the European Cup. But for me, beating Real Madrid in the semis was an even greater achievement. That tie exposed me to the partisanship of Spain’s media. More importantly, through the passions it aroused in my relatives, it made me even more aware of the Franco government’s hostility towards the Rock that I already had an inkling of thanks to the referendum. Those two matches ensured that the only time I’ve rooted for a Spanish team in the past half century has been when their opponents were Real Madrid. They also made me a United fan forever. With Christmas nearly upon us shopping for those difficult last few presents will soon be entering its frantic, if not desperate phase. Much as you listened out for them, no hints at all from your partner. The children already have the latest smartphone and games console. And you haven’t a clue what to get your siblings or in-laws. Oh well, at least grandad is easy. 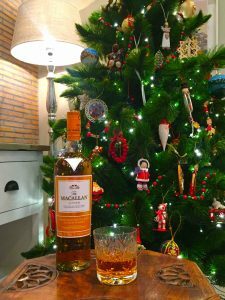 A refined single malt or vintage bottle of wine and he’ll be as pleased as punch. Hold your horses, though. Health experts say you shouldn’t. A new report suggests that, contrary to popular belief, the elderly are more likely to problem drink than the young. “Calling Time” was commissioned by the Drink Wise, Age Well programme that was established in 2014 to help the over fifties make healthier choices about alcohol as they age. Published last month, it reveals that drinking in the UK has increased only in the 65-74 year old age group. Youngsters, it seems, are adopting healthier lifestyles, preferring the gym or sports field to the pub, and many have been brought up never to drink and drive. The report notes that alcohol consumption is also increasing in older adults in the United States and other European countries, including Spain, Germany, Italy and Sweden. The World Health Organisation has identified alcohol-related harm among older adults as an increasing concern. Just as worrying is the population that will soon make the transition into old age. Today for the first time in recent history, says the report, drinkers aged 55-64 in England and Scotland drink more and are more likely to exceed the recommended weekly guidelines than any other age group. And it’s mainly men who are at risk. A 2010 report commissioned by the Swedish National Institute of Public Health, besides concluding that binge drinking is much higher among elderly European men, also found that the rate of alcohol-related male deaths among the 60+ age group was more than double the rate for females. Elderly women consistently reported drinking less alcohol, both less frequently and in smaller amounts, than both elderly men and all adults. 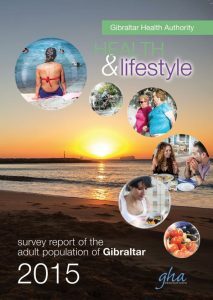 In Gibraltar, the GHA’s 2015 Health & Lifestyle Survey indicated that nearly a third of women (31%) never drink alcohol compared to 17% of men. On average, men drink 7.1 units of alcohol a week while women drink 3.7 units. Given the relatively low price of booze and our penchant for both the British pint and the Spanish vinito it’s hard to imagine our alcohol consumption record being any better than the UK’s. So there you have it. This year, best get grandpa some nice woolly socks or a comfy pair of slippers. “I hope my family are reading this: do not deprive me of the anaesthetic that makes Christmas day tolerable”. The GSLP/Liberals represent a step back into the past. Fabian Picardo and Joe Bossano are risky choices that have shown poor political judgment. Mr Bossano presided over some of Gibraltar’s darkest days that left it with a reputational legacy that took years to salvage. 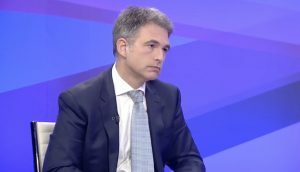 Since his election as GSLP leader…Mr Picardo has shown an inability to stand by his proclaimed convictions. 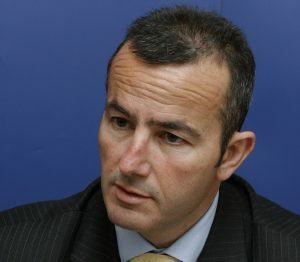 (The GSLP/Liberals) cannot be trusted to have the political judgment necessary to govern Gibraltar. The GSLP/Liberals are a negative, retrograde step. None of the above are my words. Nor even those of their bitter political foes, the GSD. They’re direct quotes from the 2011 election manifesto of the Progressive Democratic Party. The deputy to Keith Azopardi going into that election was Nick Cruz. The same Nick Cruz who, in an opinion piece in this newspaper, nailed his new colours to the mast declaring himself a member of the GSLP “family”. Mr Cruz revealed that he actually voted for the GSLP in 1988 before shifting his allegiance to the GSD in 1996 and to the PDP in 2005, now coming full circle back to the GSLP. “I have never been tribal,” he says. No Nick, we certainly can’t accuse you of being that. 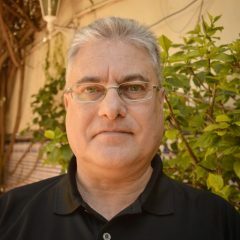 Meanwhile congratulations to Mr Azopardi who prevailed over Roy Clinton in the GSD leadership contest, obtaining 60% of the combined votes of the executive and ordinary members. He now has the task of renewing and reinvigorating the party to make it a viable alternative for government at the next general election. Mr Azopardi has already said he’ll bring in new faces. Will he also introduce new policies? GSD members might wish consult the aforementioned PDP manifesto for clues, after all Mr Azopardi now has a more realistic chance of implementing them one day. In 2011 the PDP wanted to enlarge parliament from the present 17 MPs to 25, but have a maximum of 9 ministers rather than 10 as now. 8 or 10 seats would be elected on a proportional representation basis and backbenchers would be introduced on both the government and opposition sides. It would have created a “Young Parliament” and raised the school leaving age to 16. A PDP chief minister would have served no more than two terms and invited the leader of the opposition to accompany him to the United Nations as part of a joint delegation. The party would have revived the bid for UNESCO World Heritage Status for the Rock, built a second Primary Care Centre in the south district and commissioned a feasibility study for a monorail system for Gibraltar. It will be interesting to see whether any of these objectives becomes official GSD policy in coming weeks and months. 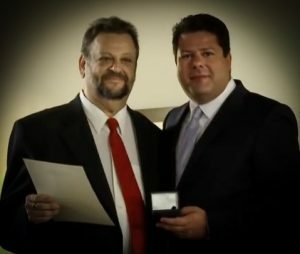 I wasn’t there but I’m told the GSLP’s Annual General Meeting, at which Fabian Picardo was re-elected unopposed as leader, was an emotional affair, it being the first without party stalwart and co-founder Juan Carlos Perez, who died this year. The screening of a tribute video left hardly a dry eye in the hall. Juan Carlos and I clashed many a time during the eight years that I interviewed him when he was a government minister, but we always remained friends regardless. A great guy and a true socialist, the local political scene just isn’t the same without him. Hasta siempre, Juan Carlos. The popularity of Black Friday in Gibraltar and much of the Western world appears to me to be the latest example of the Americanisation – Americanization if you’re American – of popular culture. Unless you come from another planet you’ll know that on Black Friday shops and stores offer large discounts as an incentive for customers to get into a pre-Christmas spending mood. In the USA it’s celebrated the day after Thanksgiving, which falls on the fourth Thursday of November. No doubt aided by the Internet and the advent of online shopping, what began as a strictly American custom has in a relatively short space of time spread across the Atlantic. 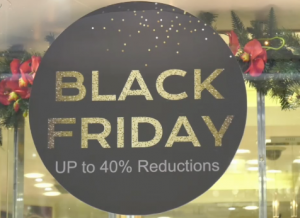 In the UK its effect has been such that hardly anyone uses the term Black Friday any more to refer to the Friday before Christmas, when the police and emergency services plan for a busy day dealing with intoxicated revellers. Despite initial resistance by some sniffy retailers the American meaning of Black Friday has caught on and last year the total sum spent in Britain on online retail sites alone was £1.23 billion, an increase of 12% over the equivalent day in 2015. 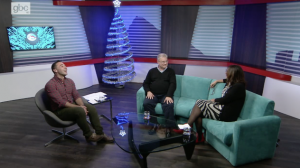 This year, more than ever it seems, Gibraltar’s shops have jumped on the Black Friday bandwagon too, with a generally positive customer response if a GBC TV Newswatch report last week is anything to go by. Here, as in other places, Black Friday has in practice become Black Week as traders offer their discounts for several, not just the one, day. Nor does it necessarily all finish on Friday, with Cyber Monday increasingly popular to round off the Thanksgiving long weekend. And how long will it be before Thanksgiving itself establishes itself in the West? Ironically in the US as well as in Canada, which celebrates it on a different date, Thanksgiving Day has its roots in English folklore from the time of the Protestant Reformation in the 16th century. But whereas in the UK the ritual of giving thanks for the harvest has all but disappeared, in the United States Thanksgiving is the most cherished holiday of the year. 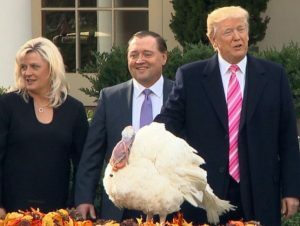 I wonder: will we in Gibraltar ever get to see our chief minister ceremonially “pardon” a Thanksgiving turkey, as Donald Trump did for the first time this year in fulfillment of a long-standing presidential tradition? Love it or hate it another annual American commemoration, Halloween, is here to stay, even if few of those trick-or-treating are conscious of the date’s religious significance. (“Halloween” is a contraction of All Hallows’ Eve, and precedes All Saints’ Day). When I began my career as a journalist I was often sent to cover Guy Fawkes Night on the 5 November. It was an occasion the community looked forward to, and bonfires with the accompanying setting off of fireworks were organised in the housing estates and by youth and social clubs. I don’t know to what extent, if at all, these events continue but I’m pretty sure they’ve diminished given the ascendency of Halloween that comes just five days earlier, on the 31 October. There are of course many other examples of Americanisation, from the adoption of American English words and expressions, to the proliferation of US and US-style shops, restaurants, coffee houses and hamburger joints. One custom I hope we never see locally is the use of an animal to predict when winter will come. 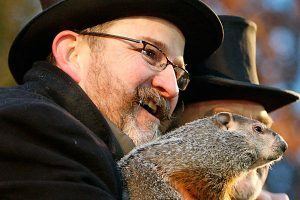 In America this chore falls upon the humble groundhog. In Gibraltar I guess we’d have to rely on a rock ape.